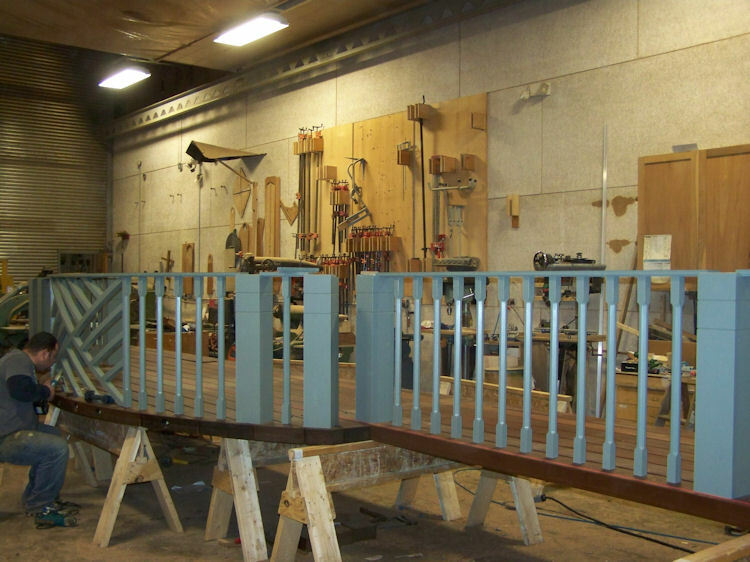 A collection of Timber Stair System construction, hand rails, balusters, newel posts, stair treads, stair risers, landing treads, stair tread returns, skirt boards, stair nosing and heavy architectural wood stair treads. 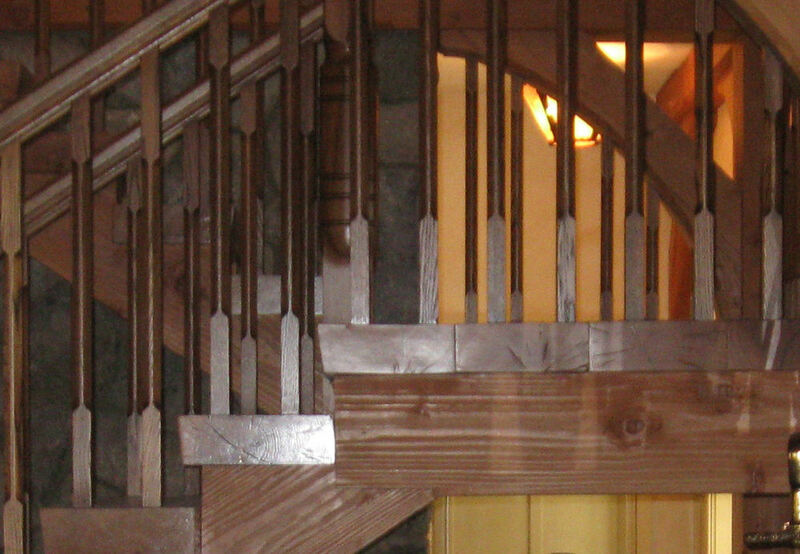 As an integral part of any timber frame structure, heavily framed stair elements can add continuity between timber frame and the structure itself. Heavy timber stair systems offer a solid feel and a bold yet elegant aesthetic.